The P-61 Black Widow is a night fighter aircraft manufactured by Northrop. It was used by the United States Army Air Forces in World War II. 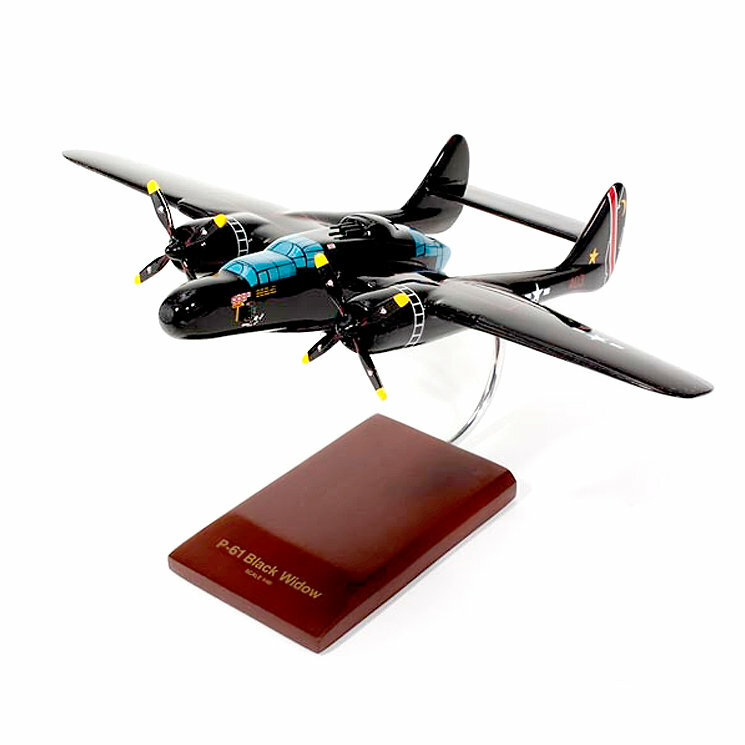 The P-61 was also used in European missions and was successful against a variety of targets such as fighter planes, bombers, V-1 buzz bombs and ground targets. In mid-1944, the 418th and 412st NFS adopted the Black Widow and in the CBI, the 426th and 427th NFS transitioned to the P-61 later that year.